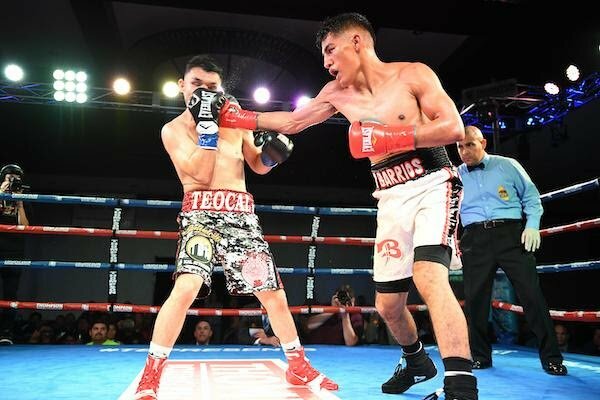 Bantamweight Luis Fernando Saavedra (8-6, 3 KOs) handed Mario Hernandez (8-1-1, 3 KOs) his first loss in what amounted to an upset win in the “New Blood” main event Friday night from the Doubletree Hotel in Ontario, Calif. Junior middleweight Leo Ruiz (4-0, 2 KOs) of San Bernardino, Calif. opened “New Blood” with a second round knockout over Mexico’s Adan Ahumada (3-7-2, 2 KOs). “New Blood” was presented by Thompson Boxing Promotions and sponsored by Everlast.